On her first visit to the University of Illinois campus, Kennda Lynch was still considering her college options. At the time, she had applied to Illinois at her high school counselor’s suggestion, but her heart was set on other schools. Then she visited Illinois, saw what the campus had to offer, and everything changed. “It was the first place that I felt would let me explore everything,” Lynch says. Exploring is exactly what she did. As a general engineering major, Lynch explored her interests in both engineering and biology and ended up majoring in both. Today, Lynch is an astrobiologist working with NASA, exploring yet again. This time, she’s exploring possiblity of life on Mars and what this means for human exploration to the planet. 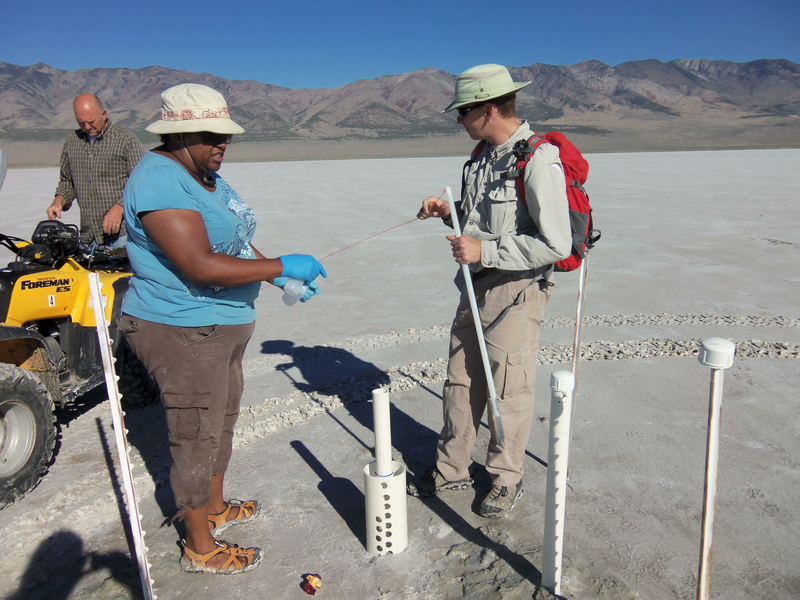 Lynch examining microbial mats in the Pilot Valley Basin, a paleolake basin in Utah. Photo by NASA Astrobiology Institute. After her freshman year in GE, Lynch completed a summer internship with biologist Dr. Mark R. Patterson. That summer she worked on building equipment for his research on an underwater mountain range. The experience inspired her to pursue both a GE and a biology degree at Illinois. As a student, Lynch enjoyed the tight-knit feeling of both the ISE department and the larger campus engineering community. She remembers this particular feeling the night before Engineering Open House. In the summers, Lynch was working and exploring her career options. She interned at the Kennedy Space Center and was a cooperative education student with Boeing's International Space Station Program at Johnson Space Center. Though she mainly worked with the human exploration program during these experiences, in her spare time she began to delve into the emerging field of astrobiology, which is the study of both life on earth and extraterrestrial life. While she was at Kennedy Space Center, she attended a lecture on astrobiology and got hooked. Not long after her experience at Kennedy Space Center, the Allan Hills meteorite became a topic of debate in the astrobiology community. This Mars meteorite contained carbonate globules in which possible Martian fossils were found by a NASA science team in 1996. The origin of these crystals was extensively disputed throughout the science community. After her graduation from Illinois, Lynch went on to work as a systems engineer for Lockheed Martin Space Operations back at Johnson Space Center. One day, on her lunch break, she realized she was standing behind Kathy Thomas-Keprta, one of the lead researchers who studied the Allan Hills meteorite. Thomas-Kerpta worked for David McKay, the chief scientist for astrobiology at NASA’s Johnson Space Center. Lynch struck up a conversation with Thomas-Keprta and expressed her interest in learning more about astrobiology. At the time, Lynch had started a part-time graduate program in biology that required some research hours. She asked Thomas-Keprta if Dr. McKay had any potential projects that she could take on as a part of her requirements. This chance encounter led to Lynch meeting with McKay, who invited Lynch to work with him full time as a systems engineer. As a member of McKay’s research group, Lynch halted her career in human space flight and became integrated into NASA’s astrobiology community as it was being formed. She began to realize how she could apply her engineering skills to planetary science and this emerging field of astrobiology. “Being able to work for David McKay, who is basically one of the founding members of astrobiology, was fascinating and wonderful,” she says. In McKay, she gained a mentor and the support she needed to go back to graduate school full time and dedicate her studies to astrobiology. In 2006, Lynch left her professional engineering life and began her full-time graduate studies in aerospace engineering at the University of Colorado, earning a NASA fellowship upon her M.S. graduation in 2008. This fellowship led her to pursue a PhD at the Colorado School of Mines, which she completed in 2015. Since then, she has been working at Georgia Institute of Technology as a postdoctoral fellow, where she is studying Mars analog environments. Microbial mats in the Pilot Valley Basin in Utah. Photo by Robin Schneider. Scientists study analog environments because they can help us understand past and present conditions on Mars. 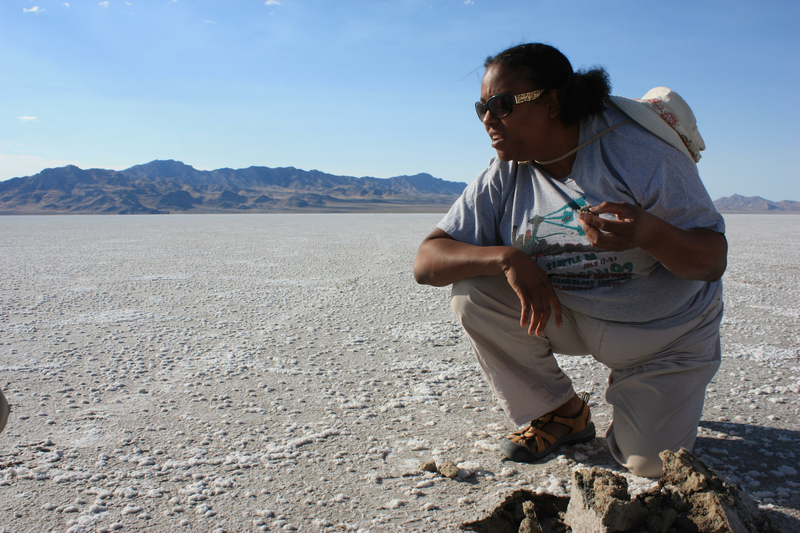 Lynch studies a paleolake basin in Utah that contains minerals that have been discovered on Mars and is teeming with microbial life. 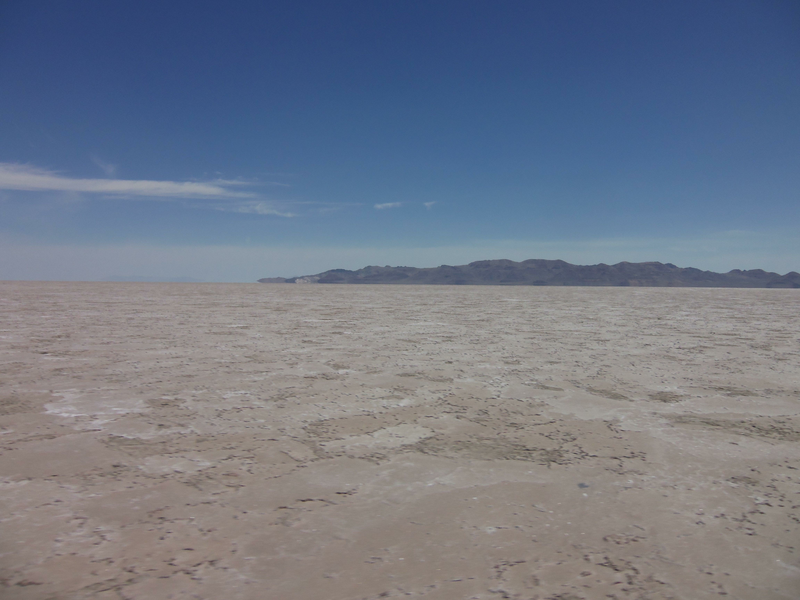 She studies this basin in particular because it could help us understand past environments like this that existed on Mars, how they could have been habitable environments, and what potential biosignatures — substances that provide evidence of life — could have been left behind. Lynch's work is also significant because one of the potential landing sites for NASA’s 2020 Mars Rover mission is a paleolake basin called Jezero Crater. “Our work in this field site could help NASA interpret what they are seeing, should we land at Jezero," she says. Additionally, Lynch is working on proposing a landing site for the first human mission to Mars. 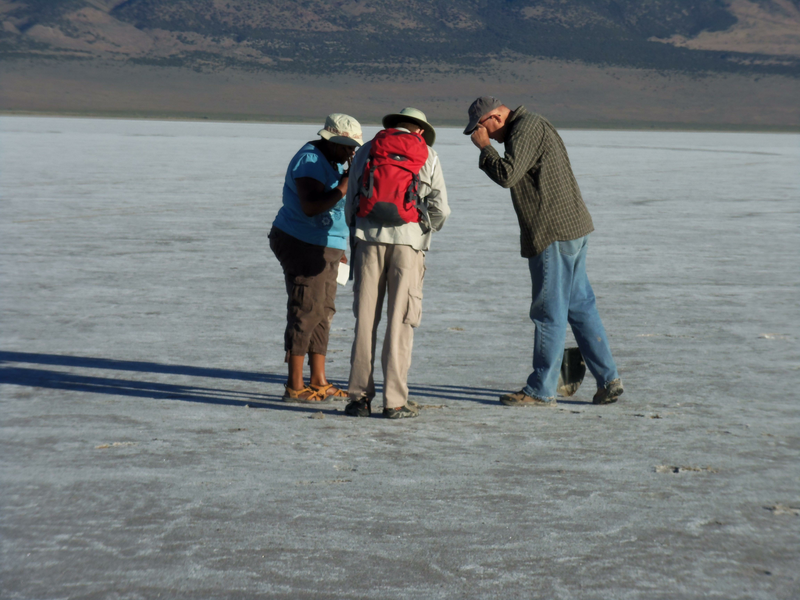 Lynch and her colleagues investigating unique and randomly dispersed features in the Pilot Valley Basin. Photo by Robin Schneider. This is where astrobiology comes in, and why it’s so important. Through studying the origin of life on Mars and the planet’s current conditions, astrobiologists can help human exploration of Mars. 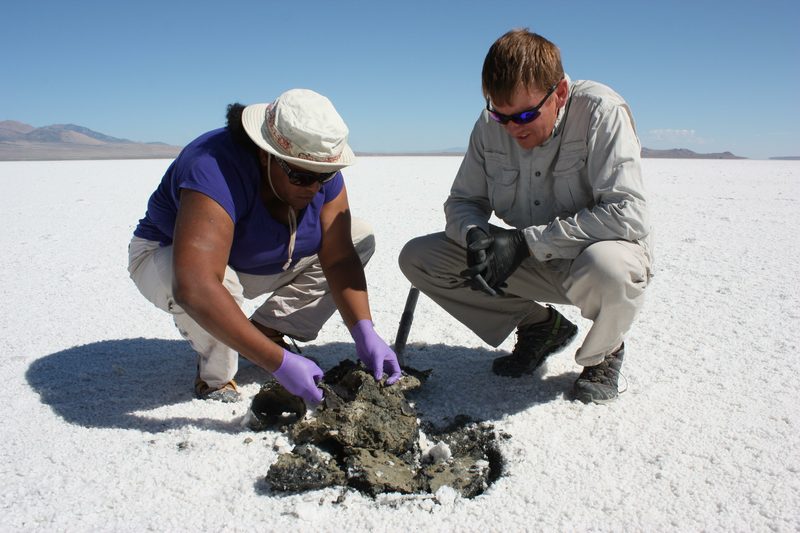 Lynch and her collaborator, Kevin Rey from Brigham Young University, examining sediments and overlying microbial mats. Photo by NASA Astrobiology Institute. Astrobiology helps answer the critical questions of how to detect life on earth, and what defines life and indicates life, whether it be here or on Mars. Being a part of answering these questions is a dream come true for Lynch. Lynch and her colleagues sampling hypersaline groundwater in the Pillot Valley Basin. Photo by Robin Schneider. Years ago, the biggest question in Lynch’s life was what kind of engineer she was going to be, and she says her Illinois education helped her answer that question. Her training was invaluable because it helped her transition into the NASA community and gain the skills she needed to work in planetary science. In GE, she had the flexibility to find her niche and avoid being boxed in by preconceived notions of what engineers do. This ability allowed her to take her career to worlds she never imagined — working for NASA and studying human exploration of Mars. As she pursues her goals of becoming either a professor or research scientist, and assisting with the Mars 2020 rover mission, Lynch doesn’t take for granted the series of events that allowed her to be where she is today.